Green Alliance Everyone wants smart power, but where’s the market? Everyone wants smart power, but where’s the market? The National Infrastructure Commission concluded earlier this year that flexible energy technologies are ‘no regrets’ options, with the potential to save consumers up to £8 billion by 2030. Yet the way energy markets are currently designed is hindering investment in these resources, which the UK’s modernising power system increasingly needs. 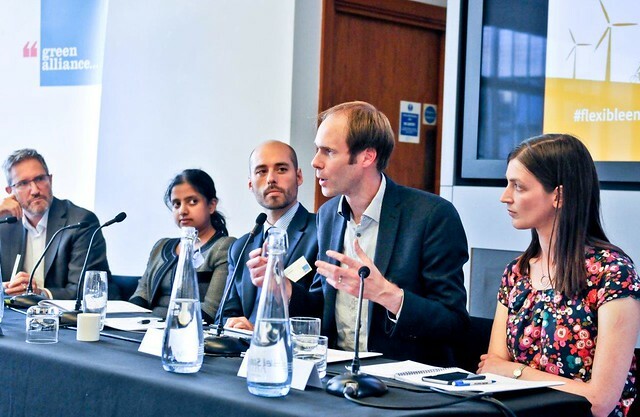 Our expert panel discussed the question: Everyone wants smart power, but where’s the market? A new report by Green Alliance was launched at the event, which examines how we ensure power system flexibility is appropriately valued, so that the quality, as well as the quantity, of resources is taken into account. You can see the highlights from the event in our Wakelet, and read the report Smart investment: valuing flexibility in the UK electricity market.